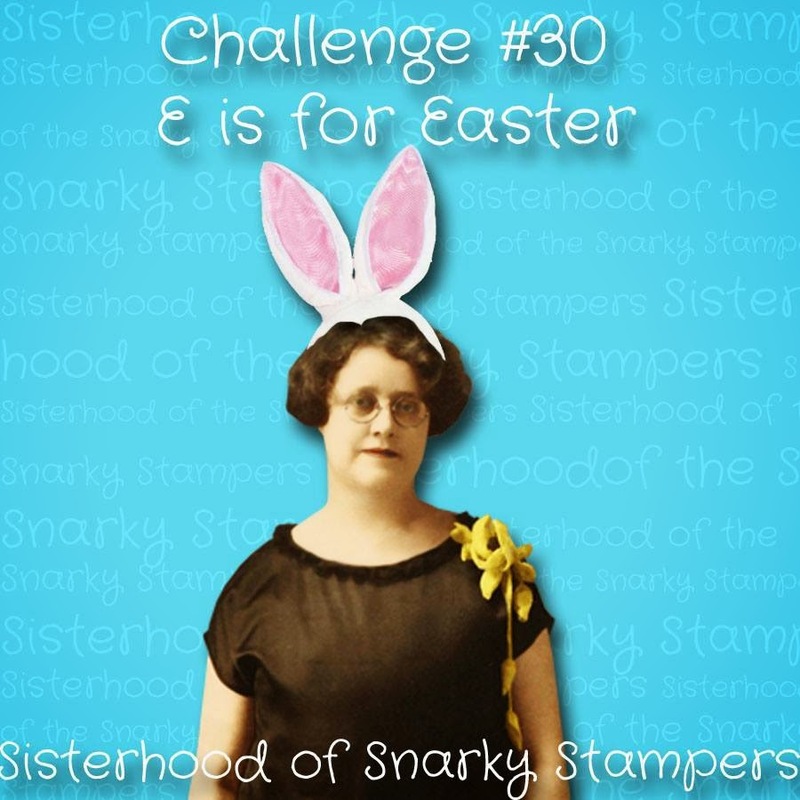 Edna and the snarky sisters are back atchya with a fun new challenge...yep...E is for Easter, so grab your bunny ears, or tail, if that's how you roll, and play along won't you?? Visit the SoSS BLOG for all the details on the challenge and while you are there be sure to show my sisters some crafty lovin!! Not sure if you can read the chit chat stickers, but it say's "happy easter my love bunny"
This is such an adorable tag! Nicely done, sistah. Makes me want a chocolate bunny. I'm going grocery shopping tomorrow. Yum! Super cute bunny tag. Super adorable bunny tag Donna! Love the burlap/ribbon embellishment, and the fluffy tail is a nice touch! 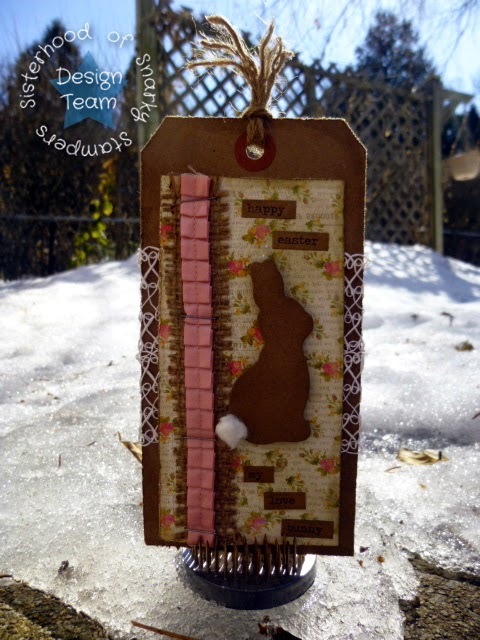 Cute Bunny Cottontail tag! Love your use of textures!